The 4 Way Bar & Grill in Lakehills is excited to announce that we’re now open seven days a week for lunch and dinner — and with great new menu items. Whether it’s a Friday night or a Sunday afternoon, our bar and grill in Lakehills will be serving up fresh USDA beef, your favorite Texas appetizers, and a full kids menu. Visit our bar and grill today to try our newest menu items! As if the Lakehills Legend Cheeseburger and our famous bone-in chicken wings could get any better! Now, our bar and grill menu offers 1/4 lb. all-beef foot-long Nathan’s hot dogs. All hot dogs are served with our classic 4 Way Bar & Grill fries. Choose between a foot-long corn dog, hot dog, Chicago-style dog, firehouse hot dog, or chili cheese dog. Whichever you choose, you’re in for a delicious treat at our bar and grill in Lakehills. Wash it all down with a cold beer, wine, frozen margarita, or any other selection from our full bar. In Texas Hill Country, it’s pretty difficult to find a restaurant that’s open seven days a week. You always have to check the website or call to see if places are even open. That’s all changing with our new schedule at The 4 Way Bar & Grill. The only call you’ll need to make is for a reservation — that’s because we’re open for lunch and dinner every day and night of the week! With a menu for everyone, great drink specials, and entertainment all year ‘round, there’s no better place in Lakehills than The 4 Way Bar and Grill. We also feature weekly activities such as our poker tournament on Wednesdays, pool tournament on Thursdays, and live music on the weekends. You can always play pool and darts on your own as well. Stop by today, order online, or make a reservation to enjoy our restaurant. 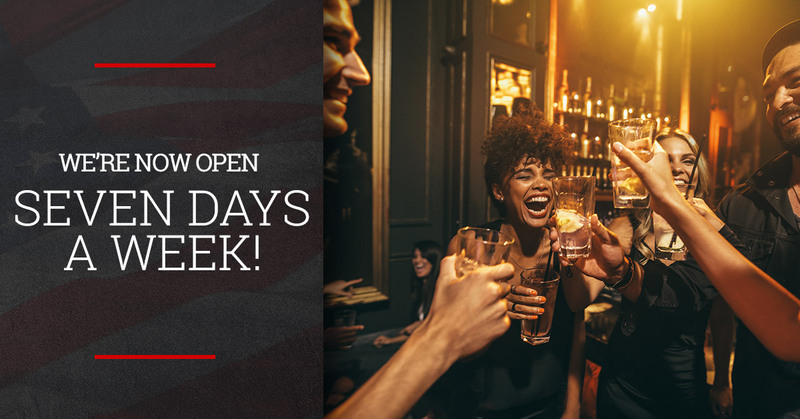 We’re family-friendly and open every day of the week, so now is the perfect time to stop on by!